Warning! 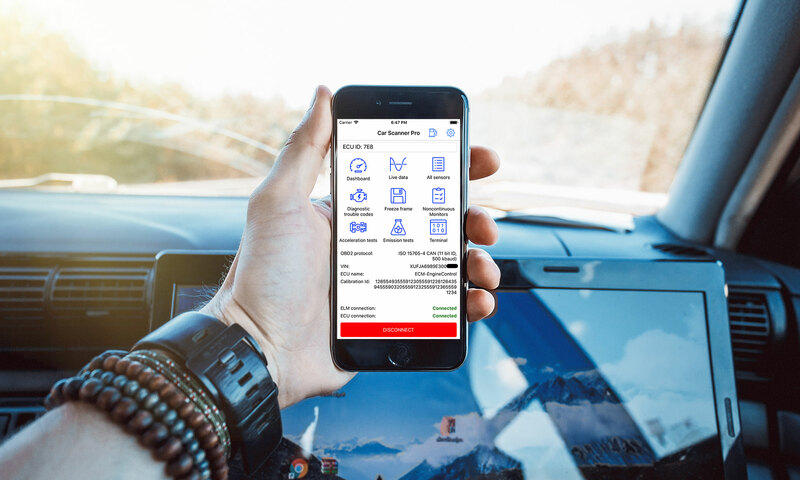 Car Scanner capabilities of reading different data are not the same for all cars! 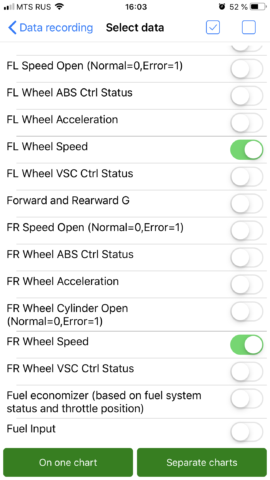 The list of supported sensors depends on the vehicle and the selected connection profile! One day, my work colleague saw a bunch of warning inidicators on his Toyota Land Cruiser Prado 150 (2010) dashboard. The ABS, ESP, power steering, all-wheel drive and other lights came up. Moreover, the main difficulty was that the lamps went out and then appeared again and, unfortunately, when he tried to read DTC code, there were no DTC in memory and warning indicators were off. So, the problem was floating, not always repeating. According to the owner of the car, at the time when the warning lights came on, ABS and ESP system stopped working too. 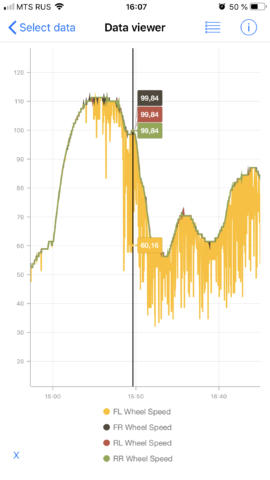 I suggested to check the ABS sensors, because a lot of systems in modern cars actually depends on ABS sensors. 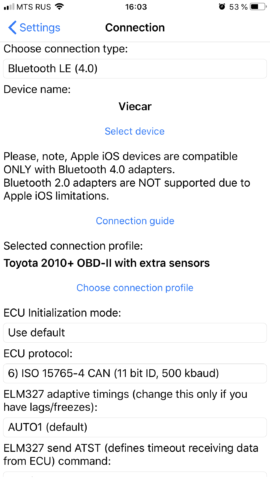 To do this, the Toyota 2010+ OBDII with extra sensors connection profile was selected in Car Scanner. This connection profile allows you to get the speed of each wheel individually. 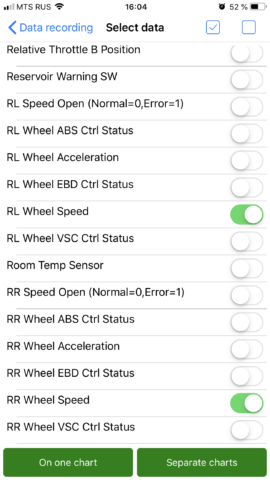 Then in the Dashboard we create a page with 4 sensors and set them up: FL wheel speed, FR wheel speed, RL wheel speed, RR wheel speed. I also make sure that the owner has data recording enabled in Car Scanner. The owner goes to ride with Car Scanner, on the screen of which the dashboard panel with wheels speed is displayed. The next day, we opened Data recording, found data record file selected four parameters that we already know (FL wheel speed, FR wheel speed, RL wheel speed, RR wheel speed) for displaying on one chart. 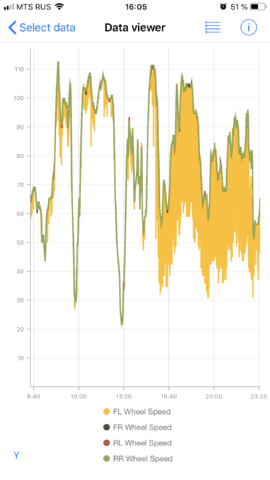 And carefully look at the graph: three wheels all the time showed approximately the same speed (taking into account the tolerances in the corners), and one — the front left (displayed in yellow on the graph) gave the correct speed, then 20-40 km/h less. The speed on this wheel changed chaotically and unrealistically, especially comparing to 3 other wheels. It immediately became clear that the problem was either in the front left wheel sensor itself or in the wiring to this sensor. Most likely due to the fact that some data from the sensor were received by the brain, and these data were 50% correct, the system could not unambiguously determine what the problem was. After replacing the front left ABS sensor, the problem went away and did not occur again.